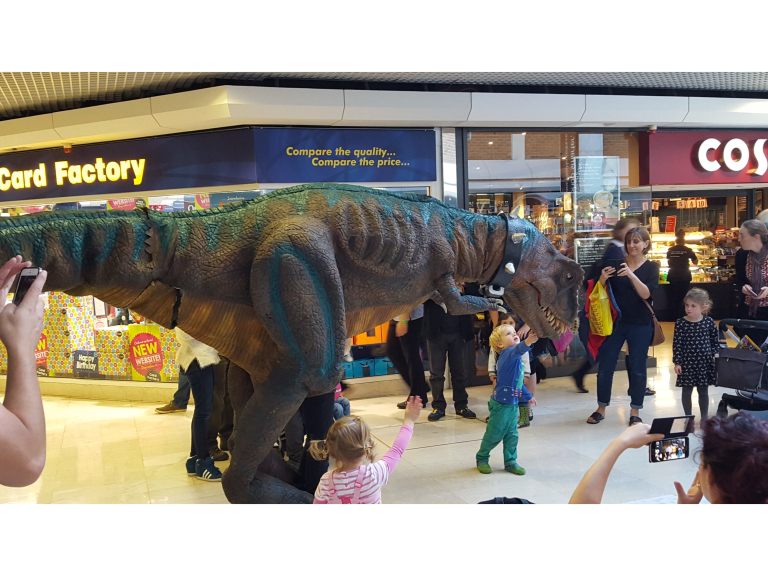 A T Rex visited The Ashley Centre Epsom last Friday afternoon 18 September to the delight of shoppers! 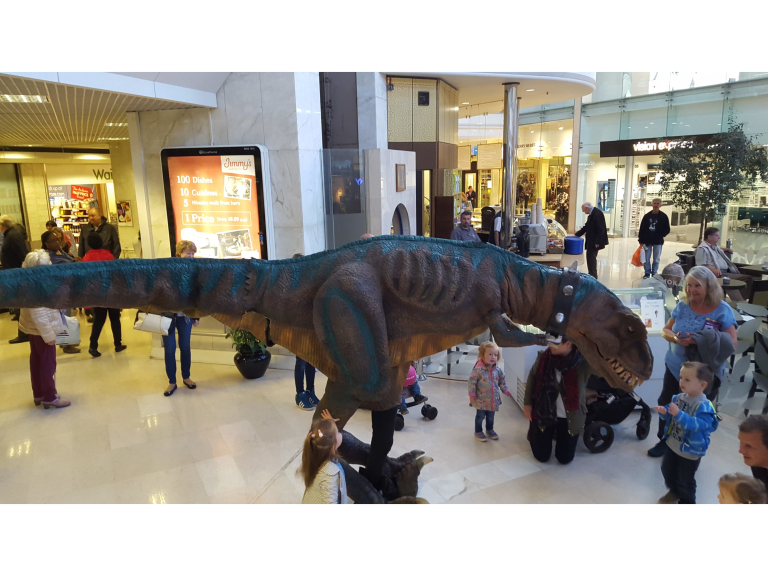 Visitors were able to get up close to the Jurassic dinosaur before he stars in a brand new production for children 3+ and their families at the Epsom Playhouse next month. 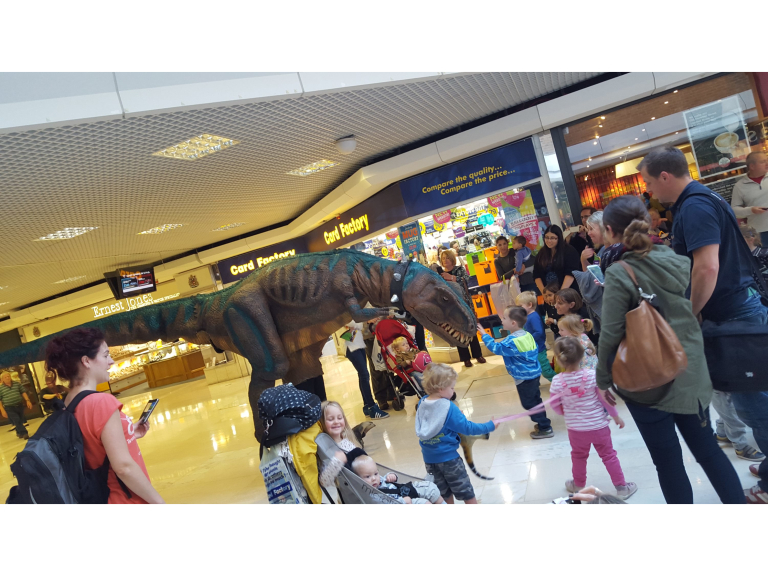 On Sunday 11 October at 2.30pm JURASSIC ADVENTURES is set in a Jurassic Theme Park on a magical island where anything might happen the production stars a brave cast of amazing actors, a fun script, superb scenery, and of course DINOSAURS! 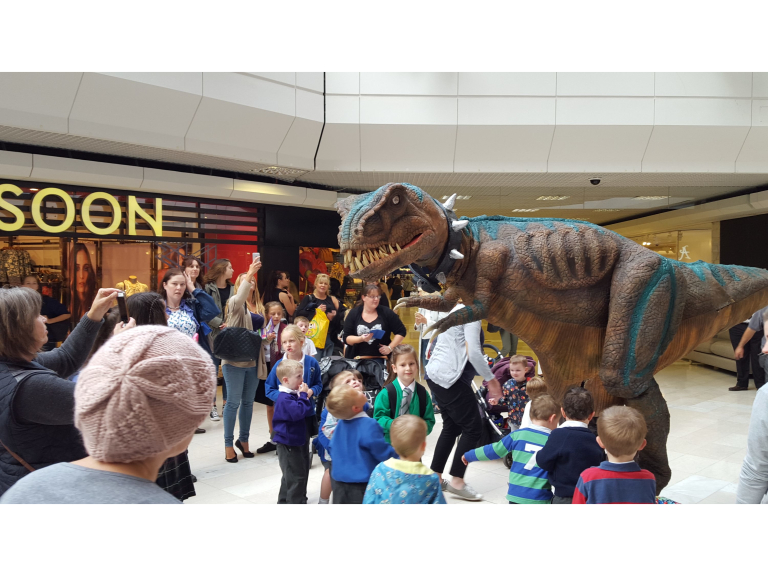 Jurassic Adventures is a new family show concept that merges culture, fun, emotion, history and pre-history into a fun and complete theatrical experience for the whole family. Using theatrical art technologies including a climate system that simulates artificial environments and state of the art lighting – the audience is not only transported to the park itself, but also participates in the adventure. Tickets are on sale now for £13 for adults £11 for children with family discounts available and can be booked at: www.epsomplayhouse.co.uk or by ringing the Box Office on 01372 742555/742227..